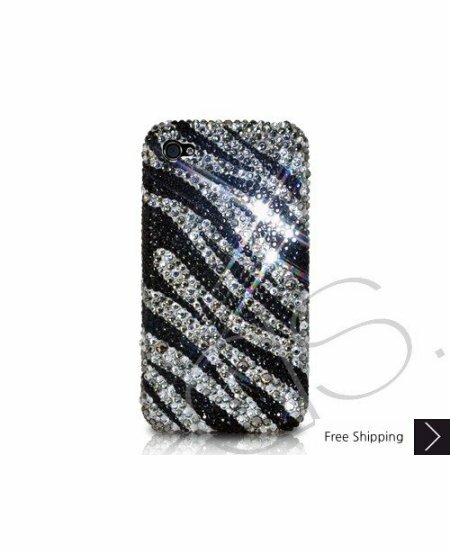 Zebra Wave Bling Swarovski Crystal iPhone XS and MAX iPhone XR Case is handcrafted which make this the most luxury and prestige product. Every single pattern is a collaboration between our designers and craftsman. You will not find an identical case as yours even for the same pattern as they are all hand made. bought this for a present for my little neice and she loves it. goes on smooth on her iphone and still looks nice. I saw the price of the case and was really amazed that something that looked that good was cheap. when i got the case in. i was expecting it to not be just great but i was wrong. the case is beautiful and it is like i paid good money for it. Need something cheap but beautiful and stylish. than this is your case. I read a ton of reviews about the rhinestones falling off. I've had it for almost two months and not one has! Plus they give you extras just in case which I thought was nice. Love it and all my friends want one! It was soooo pretty . im using it for my prom ! the embellishments are perfect.